I think most of us have them, right? A musician, an athlete, a movie star, a writer, a politician, a teacher…it can be anyone. Anyone we aspire to be. Anyone we look up to. Anyone we put up on a pedestal. Untouchable. And sometimes, those idols disappoint us. Sometimes those idols fall from that pedestal we’ve put them on, shattering like a porcelain vase, and leaving us surrounded by the shards. This week, an idol fell. I try not to put anyone up on a pedestal. I know we are all human. No one better or more important than another. But, sometimes, even I am left in awe of a person. Katherine Stone, founder of Postpartum Progress, was an idol to many. An idol to women who in their darkest hours, found hope through the organization she started. Like I said, I try not to idolize people. I don’t like pedestals. I like us all to be on the same level. But, it’s easy to get caught up in idol worship when you feel that a person saved your life. Or at least played a major role in saving it. I am sure, I have said “Katherine saved my life” In fact, I believe I said it to her. And maybe that was where so much of the problem came from. When people tell you over and over that you are their savior. I think you probably start to believe it. Our idols can do no wrong…right? Betrayal was what I felt when I first heard about the terrible things that went on behind the scenes. Racism. Systemic and poisonous. Harming women who were my friends, women who put their heart an soul into the work they did for the organization. I was heartbroken. How had I missed this? Why didnt I see? Why wasnt I able to help my dear friends? I also felt betrayed. An organization that I volunteered countless hours for, raising funds and donating funds. Given years of my life to. The curtain pulled back. The Wizard was revealed. Nothing was as it seemed. Shock and betrayal. Our idolized leader and board apparently had the feelings of a scorned boyfriend… “If I can’t have you, no one can!” and they burned the house to the ground. Postpartum Progress is gone. That beacon of hope for so many suffering moms. So many “sad moms” as Avery calls the women I help. It’s gone. Not because of the women who spoke out against the issues inside the organization. Those women had to speak out. We all needed to know, and things needed to change. Leaving so many of us feeling shocked, scared, and betrayed. But, Postpartum Progress is more than just one woman. I will give credit where credit is due, Katherine did start this organization that helped me, and countless other women. But she isn’t Postpartum Progress alone. WE were Postpartum Progress and WE haven’t gone anywhere. Postpartum Progress didn’t save me. Katherine Stone didn’t save me. I saved me. I did the work. YOU, mom who is reading this, YOU did the work. WE did the work together. The other moms, they helped you to save yourself. Our community of Warrior Moms. It wasn’t Katherine who answered your phone call at 2am and calmed you as you cried. It wasn’t the organization who shared it’s story of struggling with OCD and intrusive thoughts that made you say “Me too! I’m not alone!” It was the women who shared their stories in blog posts. The ones who moderated support groups online. Those who planned, volunteered, and spoke at conferences. It was another mom. Another mom who supported you in your darkest hours. Postpartum Progress provided you with some of the tools, but you were the one who used those tools. Postpartum Progress was a resource. A great resource for sure, but there are others. And the people who helped you, the other warrior moms who walked through the fire before you, those people are still here. It’s not about the logo on our shirts, it’s the love in our hearts. There is still so much work to be done. The work will continue. We will continue to do the work. We will continue to help moms. Idols fall, but we are here to help you dig out of the rubble. We are still here. 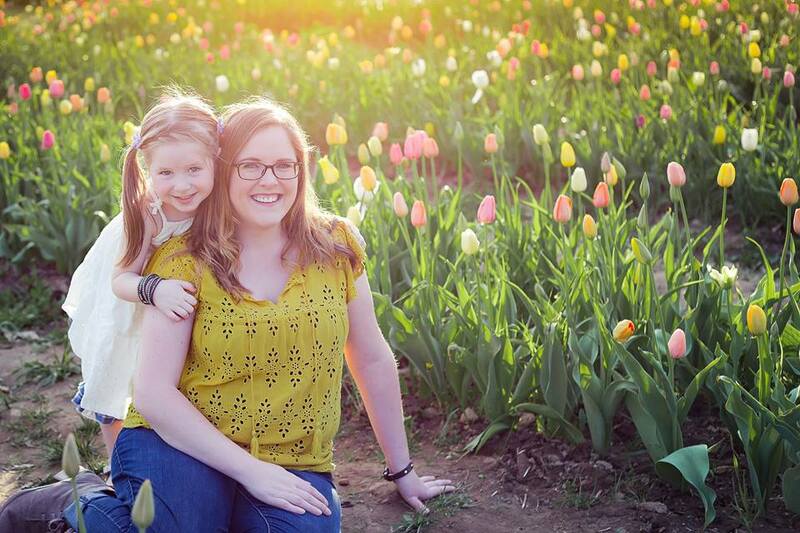 This entry was posted in emotions and tagged motherhood, postpartum progress. Omg. This is perfection. I love you, my forever sister. Right on, sister. So glad for our friendship and the countless others borne out of our struggles. Thank you for this. It brings to mind a poem I remember finding as a new nurse with the line, “I think if I were to crack your idol, it would hurt me worse than if you had never loved me at all.” I think you hit the “nail on the head” with this post. Ladies, you have not been abandoned. Trust me, I know that the community of PMAD helpers in this universe is VERY large and there for you, often just a click away. Thank you so much, Marcia! It has been amazing to see our group of “helpers” organize to ensure no mom is left feeling abandoned! We’ll continue doing the work! I wouldn’t say Katherine was an idol. But she was to me a human being who generally cared about helping women feel better about themselves in a world that wanted to tear them down for feeling the way they felt. Katherine wasn’t schlepping Tupperware or selling Avon. She started a charitable organization and built it with her bare hands. Her check book. She spent years putting her own time & money into it before grants, sponsors…anything came along to help with it. Something that was creating life long hope where there was no hope at all. I too believe Katherine played a part in saving my life. But I have also been at the hands of VERY angry employees. Even worse. VERY angry MOMMY BLOGGERS. I caught one of them stealing from me at a branded event. The business owner actually showed me the video tape of my employee putting extra gift certificates in her possession. This person was a friend and I didn’t want to hurt them. Nor did I want it to get out the purpose for terminating our relationship. But after I kindly told her that I didn’t have anymore work that person used her digital fingers and did everything in her power to try and bring me down. She was just a mommy blogger. And as someone who stood the test of time against vicious women online, I feel deeply for Katherine. I’m sure she seriously hurt people with her words and or actions. I don’t have one inkling of what she did – but at this point – it doesn’t matter. This could have been a great ending. Mental health & racism working together. But because of the absolute gutting of anything this woman has ever done tarnished on the internet including posts like yours? She’s likely in the hospital on suicide watch. I mean, she is in recovery for depression. She has serious anxiety. What the hell happened to the compassion in this one? So heartbroken by this whole thing. Perhaps as an outsider, it didn’t seem that wayou to you. But I can tell you as someone involved and deeply invested in the organization. She was an idol to so many. And a whole community is destroyed, broken, lost… it’s definitely hard to understand without being connected to the organization in any way. We all suffered a loss. Every single person. Including Katherine. Nobody has ever denied that. And everyone also feels sadness for her. Also, I don’t feel it is appropriate to discuss someone’s mental health, or health in general. Once again Joey, like comments you left on my post, you have completely missed the point. You have not once mentioned the women of color who were absolutely demoralized and treated unfairly. And please, stop spreading the rumor she is hospitalized. She is not. Even her own employee you she is not. These women are not just angry employees or angry mommy bloggers; they’re human beings for god’s sake. They deserve to be treated like everyone else. And when you continue to ignore that fact, it speaks volumes of your character. I’m sorry. I obviously have no idea what happened. I admit that. But my words were in fear of the postpartum survivor self. Not selfishly of me, per se. I can completely see where you all think I stepped over a boundary. Mine, just like many was a knee-jerk reaction of fear. Fear that some woman like me somewhere was hurting deeply & will never experience what saved my life. Katherine Stone had no one else on her team when she answered that email that night in 2009. So when I speak of ‘her’ I speak of the ‘what’ as well. Again, my sincerest apologies for stepping over the line in a war I know nothing about. Wishing you all the sincerest best. Joey. Your words are intentionally hurting people. Quit spewing your nonsense all over. You came to my Facebook and tried it as well and I DON’T EVEN KNOW YOU. Sarah, this is an amazing post, as always. Thank you for this. My heart breaks for all the moms who are left wondering where they are to go now. But just seeing the amount of support you ladies have shown one another in the past 24 hours, I know you all will continue on. You moms inspire me every day. Thank you for this. As a mom who found support in PP and looked forward to raising funds for them again this year, I was saddened to learn about what transpired earlier this week. You hit so many valid points on the head! I am just a man and an outsider, so I don’t know who is correct, who is wrong, but I knew that when people are devoted to something, they will be the most suffered when they are betrayed. But I like your saying: ” Postpartum Progress didn’t save me. Katherine Stone didn’t save me. I saved me”. I strongly believe that you can get out of this struggles and continue to what you need to do. Besides, from your post I can understand more the feeling of moms and women. The post is very interesting. I think I can understand you. Thanks for sharing! I think I can understand you. Happy weekend! I’m looking forward to reading your post. Such an interesting post, Sarah. I’ll share it now!